Love, you know, just love in general, is full of bloodsuckers. It's also equally as full of blood letters, those who just allow themselves to be drained of every last drop of what they're filled with, with what keeps them going. It's an arduous thing to ask of someone - to love you, to buy into all of what you are and to not only complain little about your needs and eccentricities, but to actually nourish and support them. It should make anyone want to turn tail and scram, just live mostly solitarily without the pressure and the implications of having to be needed, of having to reciprocate. London-based songwriter, Kyla La Grange, has fallen into these deceptive traps more often than she'd like to admit, falling for the kinds of people who are bound to be no good for her, much less anyone else. They are people that she could spot from a mile away, determine that all of this was going to end badly and still proceed with the interaction and wherever it may lead. 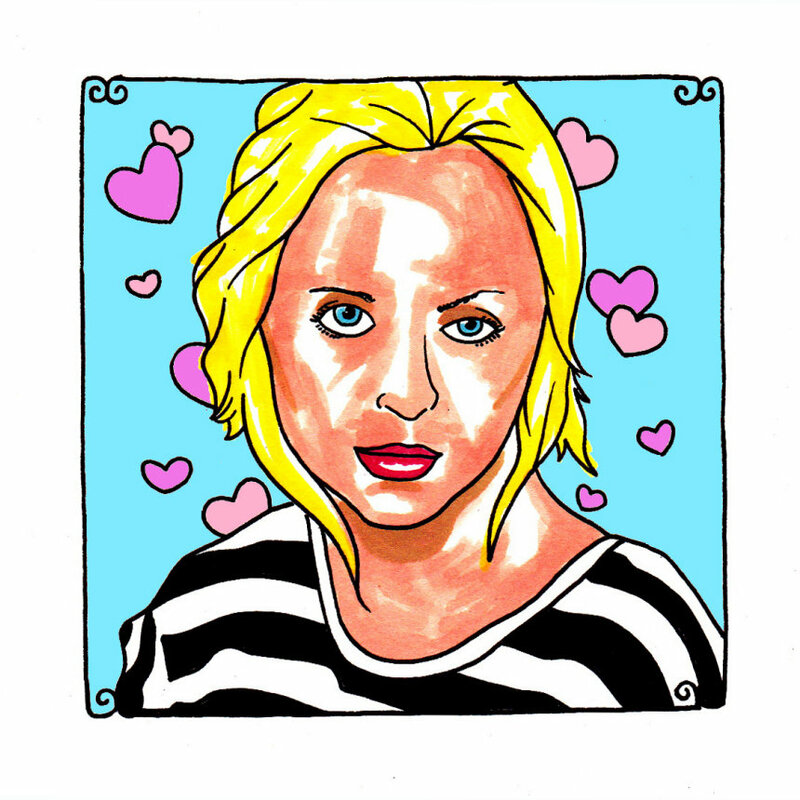 She sings on "Been Better," recorded here at Daytrotter London in Crouch End one afternoon this February past, "Been better when the sky was red/And a face like yours could make me scared." She's well aware of her ills and she can't help being drawn to what is going to leave her in tatters. Initially, we're not sure if La Grange is the bloodsucker or the blood letter and then it hits us that it all depends on the day. She writes from both perspectives - the one who's been had and disposed of and the one who needs more, who cannot exist if she cannot have it all and own a body. "Vampire Smile," is a sinister tale about a woman possessed, a woman who just must have someone and she's ready and prepared to take full possession of them. She's going to sink her teeth right into their neck, drilling for that red gold, for the serum that tastes like sugar to her. It's her electricity and yet there doesn't sound to be much pleasure to be had from the extraction. It's simply a procedure of necessity, leaving the body it's taken from lifeless and limp in her wake. She sings about the fangs going in, "I'm gonna get so drunk on you and kill your friends," and it's safe to say that there's nothing that anyone could want less than that. Should you look to the sides of La Grange's neck, you're likely to see numerous old scars - puncture wounds - where she was the victim. She has vivid memories that she can run her fingers over. It's where she learned the fine art. No one ever sees it coming, even when they see it coming, and that's the beauty of it. She can spot holes in souls, just as she knows that her missing matter is as evident, and it doesn't seem to keep anyone away. The urges win and it only leads to bloody hearts and a waste of "your wonderful words," as she puts it. The tender thoughts - of a "heart of gold and a body that you'd like to hold" - are very temporary, but they just might provide enough of what's needed before the inevitable end that should just happen and be forgotten, maybe even forgiven. It should be the same for the victim and for the bloodsucker, as La Grange sings, "Don't let me darken the nights you sleep/Don't let me enter the thoughts you keep."